Cayre, M., Courtes, S., Martineau, F., Giordano, M., Arnaud, K., Zamaron, A. and Durbec, P. (2013). Netrin 1 contributes to vascular remodeling in the subventricular zone and promotes progenitor emigration after demyelination. Development 140(15): 3107-3117. Vernerey, J., Macchi, M., Magalon, K., Cayre, M. and Durbec, P. (2013). Ciliary neurotrophic factor controls progenitor migration during remyelination in the adult rodent brain. 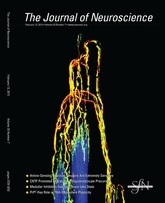 J Neurosci 33(7): 3240-3250. Ferent, J., Zimmer, C., Durbec, P., Ruat, M. and Traiffort, E. (2013). Sonic Hedgehog signaling is a positive oligodendrocyte regulator during demyelination. J Neurosci 33(5): 1759-1772. Magalon, K., Zimmer, C., Cayre, M., Khaldi, J., Bourbon, C., Robles, I., Tardif, G., Viola, A., Pruss, R. M., Bordet, T. and Durbec, P. (2012). Olesoxime accelerates myelination and promotes repair in models of demyelination. Ann Neurol 71(2): 213-226. Peyre, E., Jaouen, F., Saadaoui, M., Haren, L., Merdes, A., Durbec, P. and Morin, X. (2011). A lateral belt of cortical LGN and NuMA guides mitotic spindle movements and planar division in neuroepithelial cells. J Cell Biol 193(1): 141-154. Popa, N., Cedile, O., Pollet-Villard, X., Bagnis, C., Durbec, P. and Boucraut, J. (2011). RAE-1 is expressed in the adult subventricular zone and controls cell proliferation of neurospheres. Glia 59(1): 35-44. Cantarella, C., Cayre, M., Magalon, K. and Durbec, P. (2008). Intranasal HB-EGF administration favors adult SVZ cell mobilization to demyelinated lesions in mouse corpus callosum. Dev Neurobiol 68(2): 223-236. Morin, X., Jaouen, F. and Durbec, P. (2007). Control of planar divisions by the G-protein regulator LGN maintains progenitors in the chick neuroepithelium. Nat Neurosci 10(11): 1440-1448. Magalon, K., Cantarella, C., Monti, G., Cayre, M. and Durbec, P. (2007). Enriched environment promotes adult neural progenitor cell mobilization in mouse demyelination models. Eur J Neurosci 25(3): 761-771. Cayre, M., Bancila, M., Virard, I., Borges, A. and Durbec, P. (2006). Migrating and myelinating potential of subventricular zone neural progenitor cells in white matter tracts of the adult rodent brain. Mol Cell Neurosci 31(4): 748-758. Virard, I., Coquillat, D., Bancila, M., Kaing, S. and Durbec, P. (2006). Oligodendrocyte precursor cells generate pituicytes in vivo during neurohypophysis development. Glia 53(3): 294-303. Franceschini, I., Vitry, S., Padilla, F., Casanova, P., Tham, T. N., Fukuda, M., Rougon, G., Durbec, P. and Dubois-Dalcq, M. (2004). Migrating and myelinating potential of neural precursors engineered to overexpress PSA-NCAM. Mol Cell Neurosci 27(2): 151-162. Zhang, H., Vutskits, L., Calaora, V., Durbec, P. and Kiss, J. Z. (2004). A role for the polysialic acid-neural cell adhesion molecule in PDGF-induced chemotaxis of oligodendrocyte precursor cells. J Cell Sci 117(Pt 1): 93-103. Durbec, P. and Rougon, G. (2001). Transplantation of mammalian olfactory progenitors into chick hosts reveals migration and differentiation potentials dependent on cell commitment. Mol Cell Neurosci 17(3): 561-576. Chazal, G., Durbec, P., Jankovski, A., Rougon, G. and Cremer, H. (2000). Consequences of neural cell adhesion molecule deficiency on cell migration in the rostral migratory stream of the mouse. J Neurosci 20(4): 1446-1457. Durbec, P., Marcos-Gutierrez, C. V., Kilkenny, C., Grigoriou, M., Wartiowaara, K., Suvanto, P., Smith, D., Ponder, B., Costantini, F., Saarma, M. and et al. (1996). GDNF signalling through the Ret receptor tyrosine kinase. Nature 381(6585): 789-793.